One night on her way back from shopping, Sakuno Uryuu gets lost and she calls her older brother Shingo to come find her. Everything seems to be fine, but for some reason Sakuno follows a strange creature and gets lost again. He calls her sister, but Sakuno’s cell phone battery is nearly dead. Shingo searches for her sister and suddenly he gets a phone call from an unknown number. 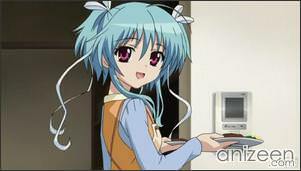 As he answers, a female, Airi Sena, greets him and passes the phone to Sakuno. Shingo thanks Airi and tell the girls to meet at the near park. Shortly afterwards, Shingo meets up with his sister and Airi. Now, both girls are tired, but still have the clear idea that they have become good friends and want to meet again soon. 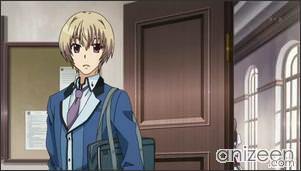 The next day, school begins, and Shingo, Sakuno and Hayata Mukunashi, one of Shingo’s friends have been chosen as part of a temporary transfer student’s group that will attend the Yuihime Private Academy for ten months. Yuihime is a prestigious all-girls school, as the new students coming from Kagamidai Private Academy begin to for gather, everything turns noisy and the principal is dragged into the room by Airi. 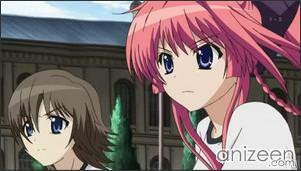 Airi is really loud as she speaks and says that everything is an idea of her mother, the school’s principal. Sakuno and Shingo are surprised and greet Airi, once again, they thank her for helping them the last night. Airi stops talking and with some regret makes it clear to Shingo and the others that not all of the students approve of the student transfer and that she is against the transfer of boys into the school. 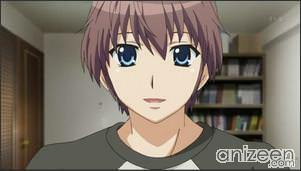 Shingo Uryuu is a second-year student of Kagamidai Academy. He is very hardworking and kind and was selected as a test student, and transfered to Yuihime Girls’ Academy to participate in 2-T, the second-year test class. He was elected the class representative. He quickly makes friends with several girls at Yuihime Girls’ Academy, though Airi does not want to get along with him or any of the other boys. 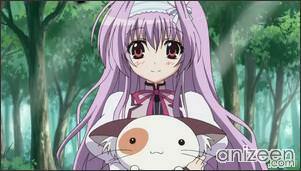 Airi Sena is a second-year student of Yuihime Girls’ Academy and the principal’s daughter. She always gets the best grade among all second-year students. At first, she was against the plan for merge of two schools, and rejected male students from Kagamidai Academy, but she began getting along with them several weeks later. 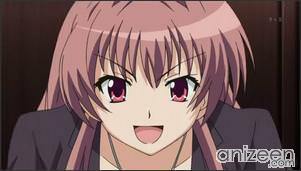 She was elected the class representative along with Shingo. She was born and brought up in an upper class family in the Old District, but she has lived by herself in a low-priced apartment in the New District since she attended Yuihime Girls’ Academy. Sakuno Uryuu is Shingo’s younger stepsister and first-year student of Kagamidai Academy; her father remarried Shingo’s mother about ten years ago. She has a quiet personality and is good at cooking, but has a poor sense of direction and often gets lost. She was selected as a test student with her brother, and transfered to Yuihime Girls’ Academy to participate in 1-T, the first-year test class. 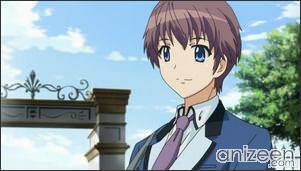 Angelina Nanatsu Sewell, nicknamed Ange, is a second-year student of Yuihime Girls’ Academy. 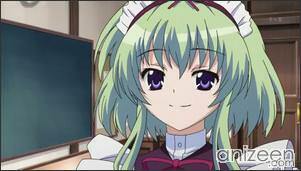 Unlike other female students, she does not wear school uniform, always wears a maid costume. She is a “stray maid” and wants to come across her master in the future. 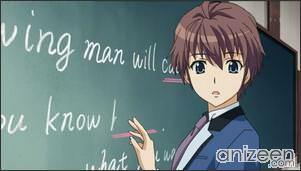 She is in Shingo’s class and tries to help in the assimilation of the students from Kagamidai Academy. Her father is Japanese and her mother is British, but she speaks only Japanese because she was born and brought up in Japan. 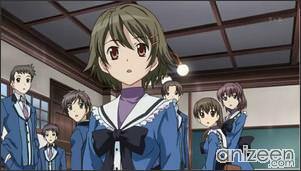 Miu Amaha is a third-year student of Yuihime Girls’ Academy. She lives in a house nearby the school with her mother and two cats. She is the founder and president of the Nuko Club, a school club to care various animals. She works part-time at a maid café named Dolce to earn money for activity of the club; the Nuko Club is not an official club, so the club’s budget is not supplied by the school. 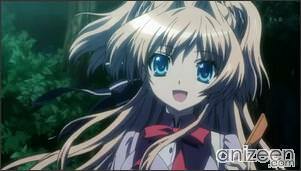 Mashiro-iro Symphony: The Color of Lovers (ましろ色シンフォニー -The color of lovers-) is a Japanese adult visual novel developed by Palette, and it was released in Japan on October 30, 2009 for Microsoft Windows PCs. Futago Minazuki has illustrated three manga adaptations serialized in Kadokawa Shoten’s Comp Ace magazine. 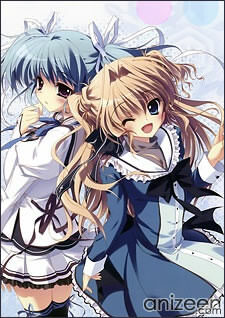 Four drama CD adaptations titled Mashiroiro Symphony Original Drama CD Series were released by Lantis in 2010. 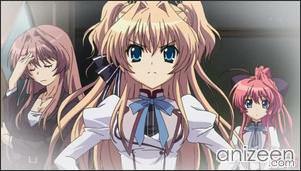 An anime adaptation produced by Manglobe start airing in Japan on October 5, 2011.